Hi! 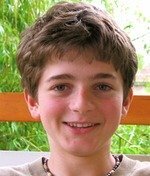 I'm Marcel! I used to go to an art school, where I learned lots of arts and crafts ideas, and I'd like to share them with you. 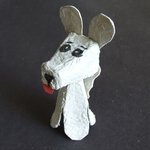 On his web site, I'm going to introduce you how to make wonderful handmade kids crafts. Don't worry: most of the kid craft ideas are quite easy, since I've made this web site for kids. However, there're a couple of quite complicated projects, so if you're expert in making craft ideas, don't close this window as you'll probably find new ideas that you haven't heard about yet! Here is a piece of useful advice that you should never forget: Whenever you get stuck, don't give up. Take a breath and try again. Try until you finish it. It is actually really important. You'll be never successful in anything, if you stop and give up after one try. And this is especially true when you're making kid crafts. So, try, try and try again! 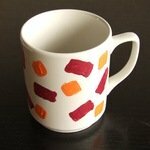 The Marcel's Kid Crafts blog keeps you up-to-date with all additions and changes to the marcels-kid-crafts.com Web site. 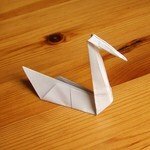 Don't know how to make origami animals? My easy origami projects for kids are waiting for you with step-by-step instructions! 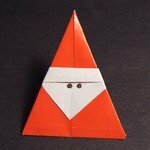 You'll find here origami animal ideas with patterns and diagrams. Beading is such a huge concept. I tried to summarize it with ideas, patterns, tips, techniques and step-by-step guidelines. This HUGE selection of free mothers day gifts ideas, including flowers, cards and crafts, is a very special one, because all the ideas here are extremely unique! Take a look at my free paper crafts ideas collection for kids. You'll find here step by step instructions for cute egg-box ideas. 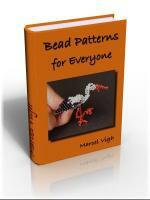 Looking for patterns or motifs? 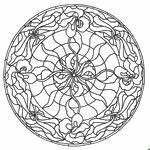 Check out my selection where you'll find here Angel, Art deco (Art nouveau), Aztec, Celtic (Irish), Japanese, Greek, Egyptian, Chinese, Indian, Islam symbols. Have you ever felt the lack of snow during Christmas or at any time? 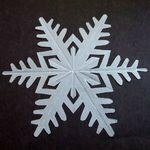 Make your own snowflakes! You'll definitely find a snowflake pattern or picture that suits your taste in my collection of free printable snowflake templates. You'll find here ideas about making mosaic for both kids and grownups. The detailed step-by-step instructions will help you along. Stamping is the simplest way to decorate any smooth surface. You can make your own stamps by carving a potato, rubber or foam. Come and see my stamping ideas, they're really cool and creative! Do you have an easter party coming up? Take a look at my free easter crafts ideas and projects. 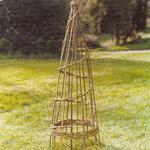 Learn how to make basketry projects by simply following my step by step instructions. 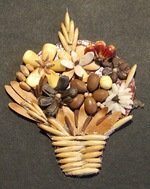 You'll also find here other basketry ideas. Free instructions and recipes for melt and pour soap making. 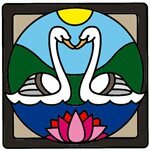 Links to other great soap making sites as well. In this varied section, you will find plenty of homemade Valentine gifts for men and women alike. If you need good gifts for Valentines, this is the ideal place to start. Now it's your turn! Show your craft ideas to us! 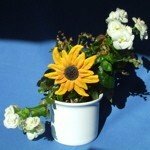 You will find here lots of good quality craft supply online stores and craft idea sites..